Notes: One triple bedroom, one king size bedroom. Space for cot. 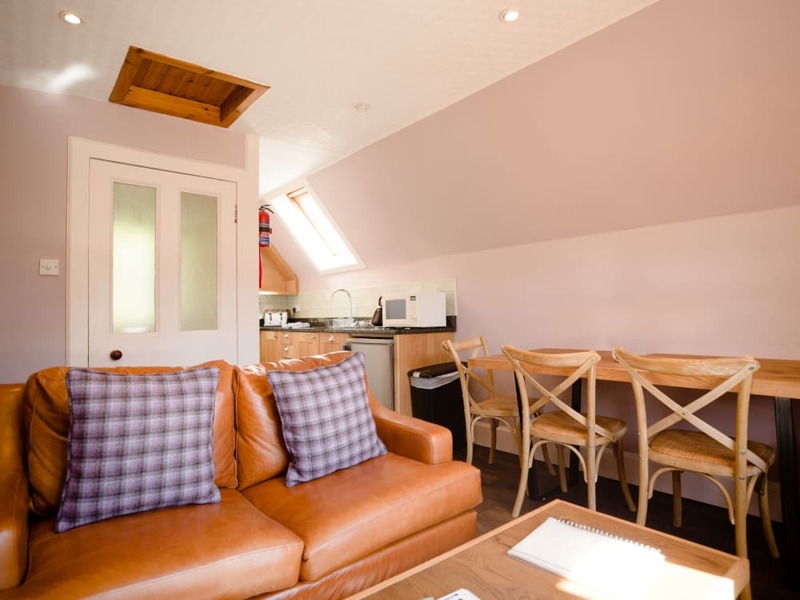 Ptarmigan apartment occupies part of the first floor of Craigellachie House, a listed Victorian lodge that sits at the centre of the Pine Bank Chalets site. 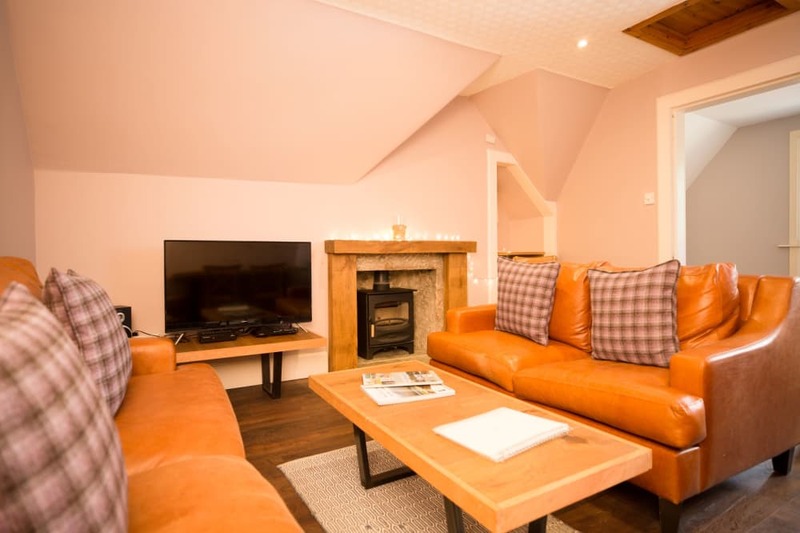 Sleeping up to 5 guests and also pet friendly, Ptarmigan is a great base for friends and family in Aviemore. 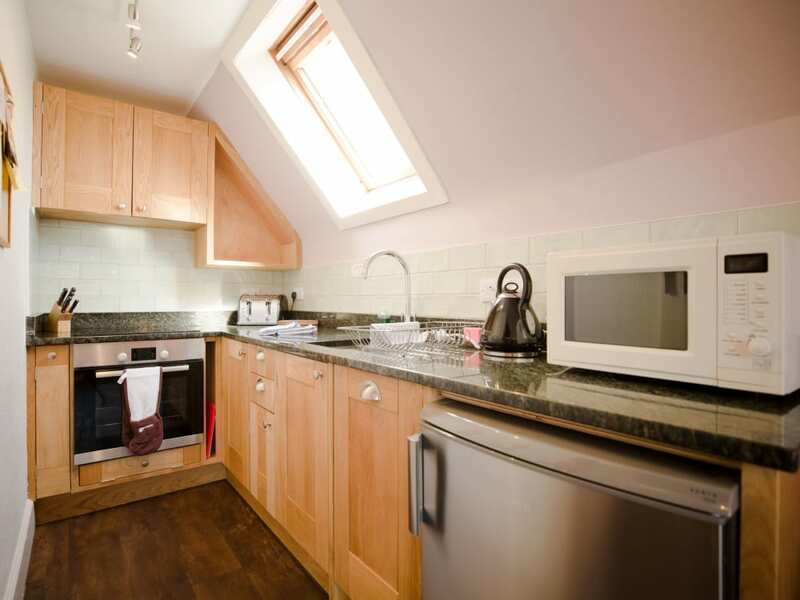 The apartment has recently undergone extensive refurbishment and restoration. It now offers new flooring throughout, new leather sofas, a bespoke Oak kitchen with granite worktops and AEG & Bosch appliances. There is a period fire place in the living room where there sits a Charnwood Wood Burning Stove. Entered via it's own front door to the rear of the property, Ptarmigan has a large lobby for hanging muddy boots and coats out of the way, along with a recently refurbished family bathroom with bath and shower. The living, cooking and sleeping accommodation is up the stairs. 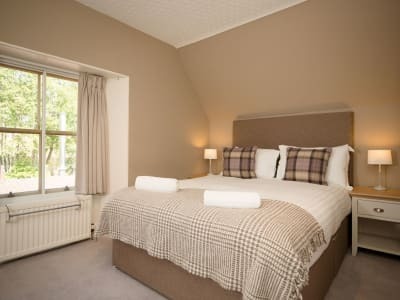 Here you will find a king room with a newly refurbished en-suite toilet and shower. To the front of the property is a triple bedroom. There is a kitchen leading off the living/dining room and views out over the gardens and the Cairngorms beyond. Parking is readily accessible just outside at the front of the building.